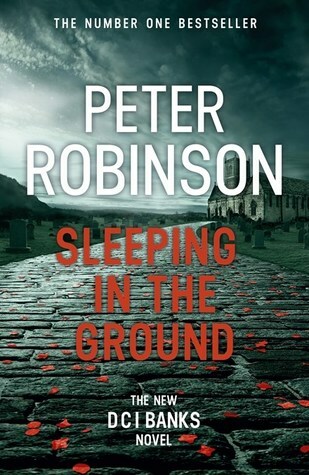 The thrilling twenty-fourth instalment in Peter Robinson’s Number One bestselling Banks Series. The introduction is bloody, brutal and honest. You cannot help but be affected by the sufferings here. Consequences are felt. But don’t be put off by the graphic violence in this chapter – it serves it purpose well – it reminds us that people are suffering, it connects the reader with the brutal event and the survivors and the first chapter is the only truly gruesome scene in the book. We read on to discover the motivation of the villain, we discover the long reaching effects of the crime, the effects on those attending the wedding – injured or not and the effects on those who have to deal with these types of situations – the medics, doctors, police… It is a shocking reminder that these type of events happen to real people, not to two dimensional characters on a screen. Further the plot is nuanced with Banks’s personal experience of death and mourning (of a once close friend) as he reflects on life, death and love. Consequences of actions/reactions to events in the past are also explored in a meaningful way. This is a multi-layered narrative. This is the twenty-fourth book in the DCI Banks series but it can easily be read as a standalone. The events that explode on the opening pages are familiar to all, the unravelling of the crime is an engaging and compelling reading. This entry was posted in Book supplied by publisher or author for review, Crime Fiction, Mystery and Thrillers, Post Script: Book Reviews and tagged DCI Banks #24, killing spree, mass murder. Bookmark the permalink. I’ve always liked this series very much, Carol. And I give a lot of credit to Robinson for keeping it strong over 24 novels. That takes a lot of skill! As a rule I’m not one for gore. But it sounds as though it’s not handled gratuitously here, which is good. Glad you enjoyed this. Margot Robinson makes many good points in just the opening chapter- brutally but not gratuitously.